Personally, I have gone through two difficult experiences managing uncertainties of a career change. Well, in fact, three times if you count the time I quit within the first three days when I realized the dot com company I joined was a mistake. Mistake or otherwise, I know the unnerving experience too well. In fact, the third time around? I am better at managing uncertainties of a career change. In fact, I welcome it. How did I do it? Well, experience teaches you a lot of things if you are open to it. 1. Life is Uncertain. Accept it. Why is it you make such a big fuss about the uncertainties of a career change? Whether you are waiting for a potential employer’s reply or even in between careers and deciding what to do, life is uncertain. So, career change and all the experiences that come with it is uncertain too. I know it is easier said than done. But I can assure you I can do this fairly well now after the experiences. My life as an entrepreneur today is filled with managing uncertainties. And if I am anxious about this all the time , I will probably go into depression. I have learned to accept the fact that life is uncertain and everything that comes with it is also uncertain. 2. Planned it? Leave it. If you have planned a career change, then tell yourself you have done what is needed and work that plan. You probably would say that your plan isn’t working out the way you envisioned it. Don’t worry. Your plans are only as good as your assumption. So, when your plans do not work as planned, make adjustments. There is nothing more and nothing less than what you can do. Managing uncertainties is just that – making adjustments. If you did not plan a career change, then it is time to plan. It is never too late. I have always wanted to own my own business. The first time around, I planned it. Then my plans flopped and I went back to employment. Seven years later, I was forced out of the corporate world due to thick politics. This time around, I hadn’t quite planned it. But guess what? I was better planned than the last time. Why? Because of the experience I encountered the first time around. 3. Best Time to Do What You Love is NOW. Regardless of which point of career change you are at, whether you are deciding about what to change to, waiting for HR department’s positive reply, unclear about the future or have a new career you want but all of a sudden aren’t too sure about – use this time to truly enjoy yourself and do the things you love. I know it all sounds counter intuitive. How can you enjoy what you do now when everything is uncertain? Well, first remember that life is uncertain and life is about managing uncertainties. Two, when there are changes, it is the best time to make other changes you have always wanted to do. It’s a good time to reboot your life and make one that you have been dreaming of. In my last career change from the corporate world to being an entrepreneur, I have done things I always wanted to do. I write more, read more, take up an additional martial art sports, spend more time with my family, and more. I worked all these things into the new changes. Managing uncertainties of a career change is not easy. The important thing is to embrace the uncertainties and take it as a part of life. It is life. When you are able to do this you will find equilibrium in your life. How do you navigate change from college to career? After all, school is vastly different from work. 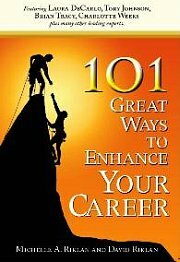 For more articles related to managing uncertainties of a career change, click here.